It's been over a month since the New Horizons spacecraft flew as near as possible to Pluto and took the closest photos of the dwarf planet we've ever seen. Now, NASA has decided on its next destination: a small Kuiper Belt object (KBO) called 2014 MU69. Since the probe was always meant to go beyond the once-ninth planet from the start, it was loaded with more fuel than needed and equipped with a communications system that works even in the Kuiper region. However, it still took a while for NASA to find an object near enough to explore. It was only when the Hubble telescope discovered KBOs in the probe's flight path in 2014 that the agency found the perfect target. 2014 MU69, now known as "Potential Target 1" or PT 1, has around one percent the mass of Pluto and is under 30 miles across. Scientists believe small KBOs like the PT1 are similar to the building blocks that created the dwarf planet. And, since the sun barely reaches that region, it's a well-preserved, frozen sample of the outer solar system from the time of its birth around 4.6 billion years ago. By the way, it's still called a "potential" target, because the New Horizons team still has to turn in a proposal and get it approved by 2016. Nevertheless, the spacecraft will have to perform a series of maneuvers in October and November to make sure it's not wasting fuel and to get it ready for the journey. 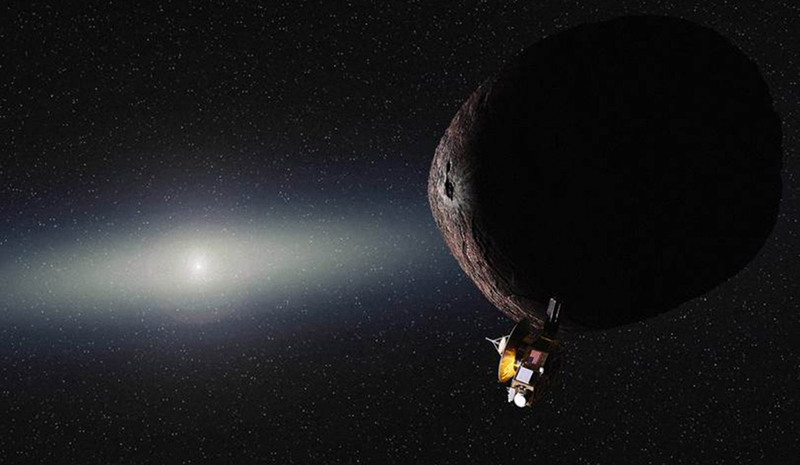 If the proposal gets approved, New Horizons will take off for the Kuiper belt and reach the object by January 1st, 2019.